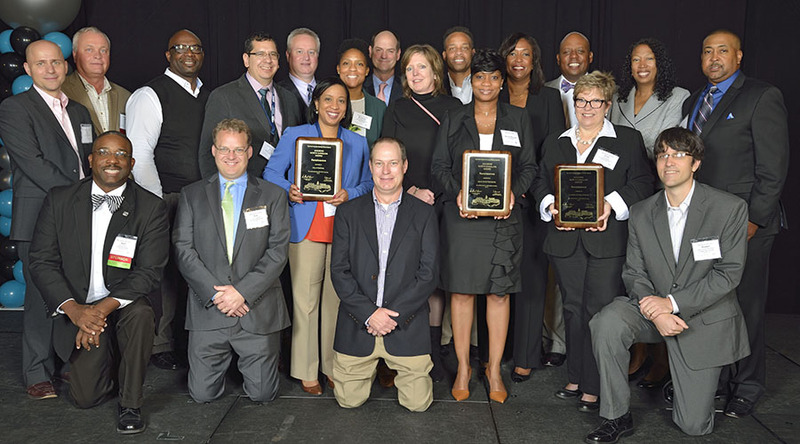 RALEIGH – October 18, 2016 — Housing developments in Pittsboro, Charlotte and Chapel Hill received Housing North Carolina Awards on Oct. 12 for excellence in affordable housing. Sponsored by the North Carolina Housing Finance Agency, the 27-year-old statewide awards recognize outstanding home ownership, rental and supportive housing developments that can serve as models for other communities. Winners were honored at a special Oct. 12 luncheon during the N.C. Affordable Housing Conference at the Raleigh Convention Center, which hosted approximately 1,000 housing industry professionals. SECU Community House, Chapel Hill, an energy-efficient transitional housing facility for 52 homeless men as well as an emergency shelter for 17 more. Services include substance abuse education and counseling, job coaching, and counseling. The SECU Community House was developed by the Inter-Faith Council for Social Service with support from the SECU Foundation, the Town of Chapel Hill, and Orange County. Renaissance, developed by Laurel Street Residential with support from the Charlotte Housing Authority and the City of Charlotte, is a unique model for both mixed-income and multi-generational housing. Renaissance has revitalized the Boulevard Homes public housing site in Charlotte, transforming a formerly distressed area with a high crime rate into a thriving mixed-income community. The Retreat at Renaissance is a four-story development offering 110 one-bedroom, 700 square foot apartments for seniors. Rents range from $290 to $650 per month. The Residences at Renaissance includes 224 one-, two-, and three-bedroom garden-style and townhome apartments for families ranging in size from 830 to 1,348 square feet with rents from $275 to $900. Notable amenities at Renaissance include a large community center with a kitchen, playgrounds, garden plots, four picnic shelters and community areas as well as tree-lined streetscapes, sidewalks, a Greenway trail and on-street parking. The development has been awarded an Affordable Green Neighborhoods Grant, LEED New Construction Certification and Earthcraft Certification. An onsite nonprofit organization, Renaissance West Community Initiative, will partner with the local public school system and community college to collaborate on decisions for a neighborhood school and offer access to adult education. Renaissance was financed with federal and state housing credits, the City of Charlotte’s Housing Trust Fund and a Hope VI grant. Contact: Dionne Nelson, principal and chief executive officer, Laurel Street Residential, 704-561-5225.